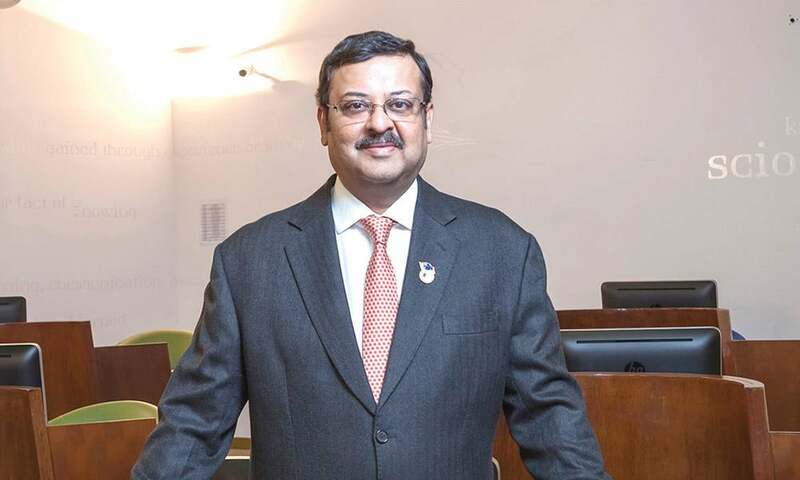 What is the central drive behind the MultiCampus Management Education Model being spearheaded by S P Jain? In an increasingly globalizing world, where geography is no longer a deterrent and migration is part of our everyday biography, the ability to work seamlessly in a multi-cultural environment has to become part of our DNA. The tri-city model, the first in the world has achieved this precisely. Students spend the first year of study in Singapore (or Mumbai) and then proceed to Dubai for the second year and finally, to Sydney for the remaining two years. It is an extraordinary experience and goes way beyond book-knowledge. They end up having friends from different parts of the world. Presently, our Singapore campus has students from over 30 different countries. The way we see the world depends entirely on how we have been ‘taught’ to see the world. It is critical that the youngsters are comfortable in a multicultural space. Our multi-campus model delivers this, which is why our students end up with global placements. I see it as our USP. What’s more important is that our students love it. It is only when you live for an extended period in a city and have peers from different countries that you are able to expand your horizons and ways of seeing. Has there been a deliberate design behind having set-ups in Australia, Singapore, Mumbai and Dubai for championing the multi-campus model? Yes and no! There is strong justification in having campuses in Dubai, Singapore, Sydney and Mumbai. The Asia Pacific region is seen as the next economic growth driver. International corporates recognize this and are present in each of these cities. As a business school, we are naturally focused on adding value to businesses through our future-ready graduates. At the same time, the School is also looking at other regions and areas of high growth and innovation, which is why the School is likely to enter the US market. You need to be where you can add value and make a difference. Contributing to productivity and decision making is our primary focus. Despite having roots in India, the group is domiciled in the sovereign territories of Australia. Being stuck in one country in our view is out of date. The model of S P Jain Global is to create global business leaders in an ever increasing global world where political boundaries have given way to connections. Our model require all our students to study in 3 out of 4 campuses – Dubai, Mumbai, Singapore and Sydney. In each country, they learn the unique aspects of doing business there and thereby they become global citizens. Being proud of our roots, we have an Indian name but we believe that we must not get bounded by that. Much like the explorers of the 17th and 18th centuries we too must create a pool of talent ready to explore the world and find opportunities in world markets. We have currently 700 alums working in Singapore. Twice that in Dubai. Over a 100 each in UK, USA, Australia, Malaysia and other countries. In an era when Sovereign Nation States are organizing & furthering their causes on the lines of Corporate Management, does S P Jain provide a succor in terms of training & research to its graduates to take on positions in Government Establishments as well? Many of the management principles – whether it is leadership or team-work or negotiations or decision making – are aspects we encounter on daily basis. However, styles of functioning in the bureaucracy are naturally different from the corporate world. Family managed businesses, for instance, are very different from other businesses. Leadership styles also vary hugely. What we achieve through our business education model is to teach our students to think globally and to learn the art of smart decision making. Of course, many of our students would add value to government establishments, at the same time many would add value to corporate enterprises as well. Several civil servants have an MBA degree these days. If one or more of our students joins the civil service, we are confident they would do well. Where they work is not our focus, what they bring to their work space is our responsibility. At a time when India is aspiring to be a global behemoth by leveraging its demographic dividend riding on a number of national initiatives, where do you see the unfurling of the local management education steeped deeply into the Indian grass root realities? The future is rapidly changing and transforming lives. Technology is the game changer. You simply cannot have a 19th century mind-set while dialoguing with students who are steeped in the 21st century. Sadly, most educators in India and several other countries continue to see technology as a threat. They know that the smartphone ‘knows’ more than them. It is time to embrace the future. In fact, education as we know it now, is already irrelevant. Please remember that education fails unless we engage the students and the only way to do so is to speak in a vocabulary the students understand. That vocabulary is called ICT. Tomorrow there will be something else. We need to keep up our learning process. What shall be S P Jain’s wishlist to the Indian Policy Envisioners as far as the arena of Private Higher Education is concerned? The demographic dividend can become a demographic drawback unless education and skilling are factored into governmental policy. Gone are the days when governments were expected to deliver on everything. This is a collective responsibility. Furthermore, if India is to emerge as a hub in the services and manufacturing sector, we need to meet international standards. For this, we have to open up to world-class education, so that our students are among the best of the best. Over time our own capabilities will grow. Our School has already demonstrated that it can be done. We are internationally ranked and in the company of Ivy League schools. Once we are clear on what we need to achieve, how we would get there falls into place. At the same time, proper regulations need to be put in place to ensure that fly-by-night operators do not distort the important education space.